The German people have always had a special fondness for Christmas decorations. Infact, the Germans manufactured the first machine-made tinsel from wafer-thin silver inthe seventeenth century. This tinsel decoration caught on, and the German craftsmenbegan exporting tinsel to other parts of the world. A century later, Queen Victoria of England married a German nobleman who becamePrince Albert. In 1841, Prince Albert set up the first Christmas tree at Windsor Castleand had it covered with tinsel along with other decorations. After that, Christmas treesbecame trendy and were erected in other fashionable homes all over Europe. 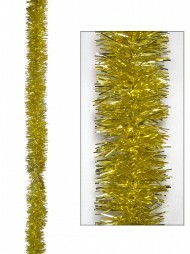 This shiny tinsel comes in gold, red, silver, blue and green in long strands measuring5.5 metres. 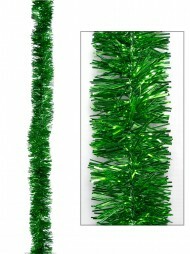 The tinsel strands are 50mm by 4ply wide, and are excellent for drapingover either large or small trees in homes or places of business. There are many otheruses for these colourful Christmas decorations, including arranging on mantels and overdoorways or wrapping around mailboxes and hand railings. These long tinsel strands can be stored in boxes and reused year after year. Theycan be tied together for use on exceptionally tall trees, on long dining room tables inhomes or on wide conference room tables in offices. 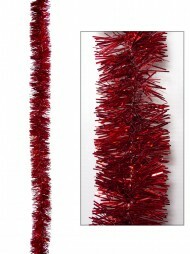 Tinsel is one of the oldest types ofChristmas decorations that are still popular today. 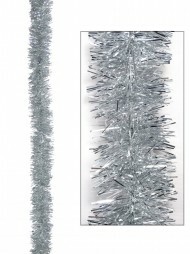 These high quality extra-long strands of tinsel can be twisted together in various colourcombinations to make stunning decorations for any tree. They also work well as tableadornments. Order today, because the holiday season is fast approaching!